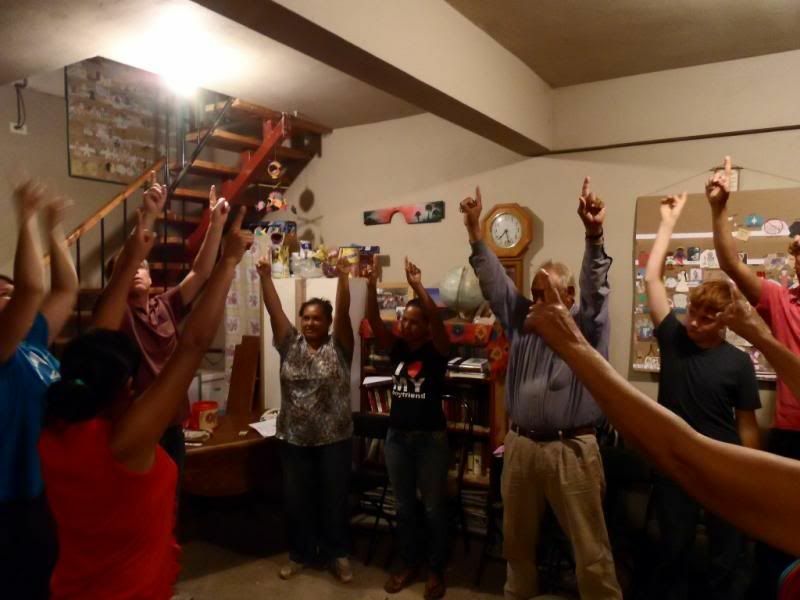 Our Tuesday night group learns the motions to "Jesus is God!" Today, November 20, is Independence Day in Mexico. There are parades in every community celebrating the freedom that was fought for and won so many years ago. As Christians, we celebrate a different kind of freedom. Freedom from sin, freedom from death and a freedom to live the abundant life promised to us through Christ and bought by His precious blood, which was shed for us on the cross. Jesus came to free the captives and the oppressed, and that is what He does through our lives when we yield to Him. There is a war going on which goes far beyond the guns and drugs and the greed for money and power. It is the war for souls. At our Tuesday night Bible study this week, two young men announced that they have made decisions to follow after Christ. Maicol and Jesús both come from difficult home situations, and this decision will not be easy for them. Both of their families are poor and at times desperate to have their daily needs met. One of Maicol’s cousins was recently kidnapped and then brutally murdered as a result of involvement in drugs. Sadly, many young men in our area are turning to shady means of gaining money or possessions. Recently another young man from a neighboring village, who at one time had confessed Christ, was badly beaten for stealing a motorcycle. He is recovering now from the physical beating, but our main concern is for his soul. It’s not hard to understand why the young people feel so desperate. Pray that we would be able to speak hope into their lives. Men of all ages stop by our house daily. In this photo, Julio and Luis are encouraging Andrew as he works on his buggy. We are grateful for the team that God has given us here in Las Glorias. Joaquin and Luz continue to work hard to preach the Word, to counsel youth and adolescents and to lead them to Christ through discipleship. Seth has begun a weekly Bible study and prayer time for youth in Alamito. Jessee has been going to the corral with Ramon and the men who work there to disciple and witness daily. Andrew has begun a daily Bible study with Esteban, who is still moving forward in his walk with God. Evie has taken charge of Joaquin and Luz’s daughters, Eimy and Alondra, while their parents are in Guasave running their doughnut business a couple of days a week. Pray that God would continue to raise up Christian leaders in our community! In October, a couple of visiting missionaries shared a workshop on child evangelism. On November 30, we will be partnering with the Vida Nueva Church of Alamito to host a youth outreach. Pray that God would bring the youth in the area, especially those who do not have a personal relationship with Him. On December 14, Lucy, Basilia, Esteban, Julio, Lupita and Julia will all be helping with the children’s outreach in Las Flores. Pray for Pastor Braulio and his family and that God would do a mighty work in that community. Rebecca and I continue to reach out to the men and women in the area with bi-weekly studies in the Word and have stepped back into the "youth pastor shoes" during baseball season, since Joaquin’s business keeps him busy on the weekends. We are also traveling one or two days a week to minister and teach in surrounding communities. Seth and Fabian leading the worship time at the church service in Alamito. This is where the November youth event will be held. Thank you for your continued prayers on our behalf! We are encouraged and excited to see God working in so many lives here, and we pray that He continues to provide for and bless our ministry here. Pray for Maicol and Jesus, young men who have recently given their lives to Christ. Pray for Aristeo and Armida who are mourning the loss of their son, Freddy. 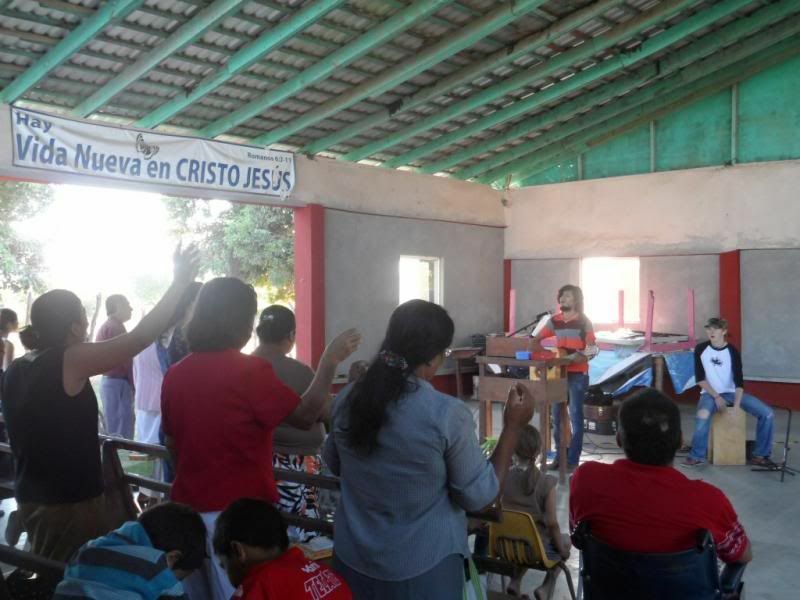 Pray for the youth in Boca del Rio, Las Glorias and La Pitahaya. Praise God for the spiritual growth we have been seeing in the lives of the believers here. Praise God for the youth who will be attending the youth event in Alamito next weekend. Pray that God would be glorified in every moment. Praise God for the way He has been blessing Joaquin’s doughnut business during the past months. Pray for continued wisdom for Joaquin and Luz in this venture. 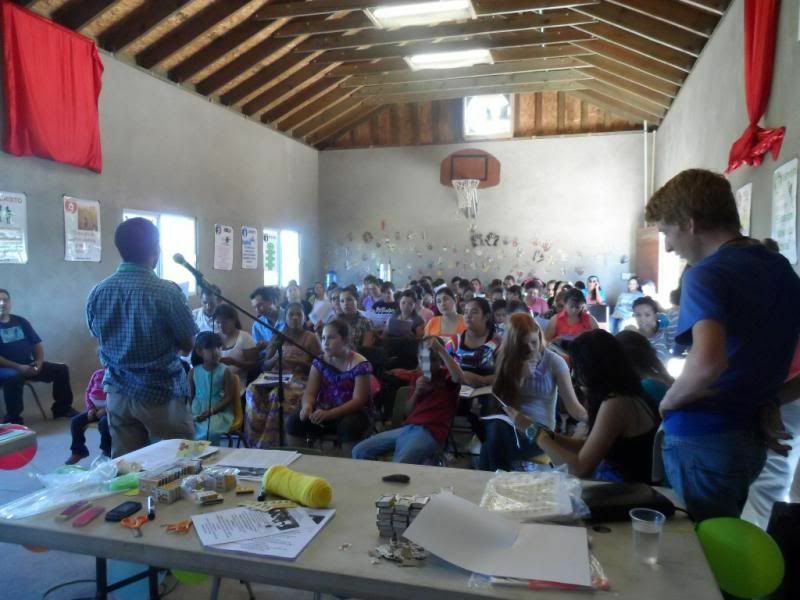 Pray for the up-coming children’s event in Las Flores. Continue to pray for the February mission trip to Veracruz, Mexico.